For over two decades, Crown International’s Macro-Tech Series has been embraced by the professional sound reinforcement industry as the most reliable, best sounding analog power amplifier line that money can buy. Now, thanks to the advent of newer technologies, Crown has undergone a careful yet significant refresh of the range, which is being globally re-launched at Musikmesse Prolight+Sound in Frankfurt as the Macro-Tech i Series. The Macro-Tech i Series continues the Macro-Tech legacy of unparalleled sonic accuracy and detail, putting sound quality above all else. Patented, cutting-edge Class-I circuitry gets more power out of an amplifier with less waste. Rugged construction ensures that all Macro-Techs are built to withstand years of abuse on the road. Global Power Supply — designed to deliver maximum power no matter what country you work in. Built-in load, line voltage, input and output monitoring. Standard Ethernet networking via System Architect lets system operators monitor and control the amplifier from any location. 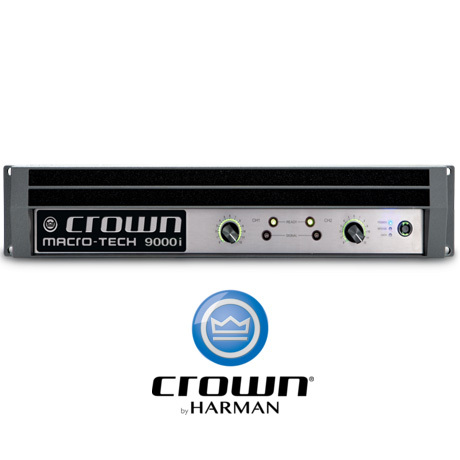 The Crown Macro-Tech i Series continues the Macro-Tech legacy of unparalleled sonic accuracy and detail, putting sound quality above all else. High power density, up to 9000 watts in a 2U chassis. Precision detented push-to-mute attenuators with multiple LEDs that show attenuator position, mute status or level. Advanced protection circuitry guards against: shorted outputs, DC, mismatched loads, general overheating, under/ over voltage, high-frequency overloads and internal faults.